Info: Created on Mon, 8th October . Last edited on Sat, 13th October. Beware of your eyes... that can hurt! Arg I can't create a single sample for the font without misspelling some word in the sample content one way or the other. I wonder why the edges are always crisp (even in a non-pixel font)? Reasons: You might still be using Win XP or older? I am using Win 8.1 Pro but I always turn off filters for anti alias when I make a sample image. 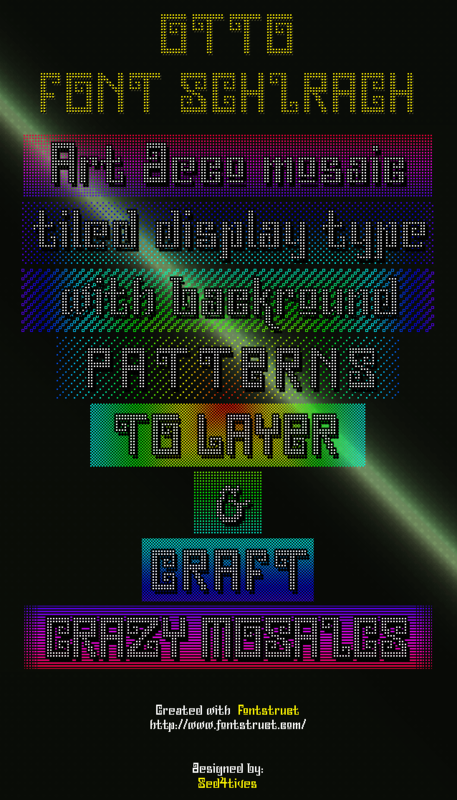 Only when I make large dimension hi-res typographic contens I turn on filters for anti alias. since photoshop doesn't handle vector paths very well. 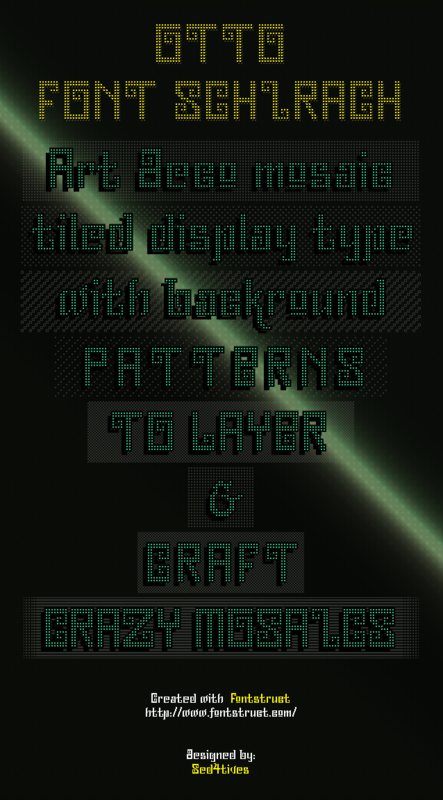 And since photoshop only shows a rasterized version of the path data for typographic art using small point sizes for text format will only mess up the quality and making it look unsharp. License is changed to creative common, happy cloning people! Congratulations! FontStruct Staff have deemed your FontStruction worthy of special mention. 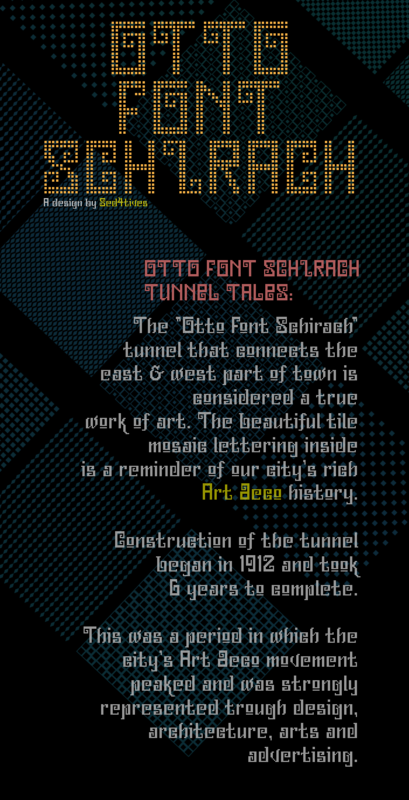 “STF_OTTO FONT SCHIRACH” is now a Top Pick. Also thanks @ the TP Boss !